In 1544, Portuguese sailors passing the verdant island of present-day Taiwan referred to it as Ilha Formosa, or “Beautiful Island.” For any traveller who has gazed at its towering tree-clad mountains, its soaring cliffs, its white and black sand beaches and breaking surf, it would be hard to disagree with those early mariners. People have lived on the Beautiful Island for almost as long as they have trodden on this planet. At Chouqu and Gangzilin in Zuozhen District, remains have been found that date back 20,000 to 30,000 years, while tools discovered in Changbin may be as much as 15,000 years old. The ancestors of Taiwan’s aboriginal people are believed to have arrived from across the Taiwan Strait some 5,000 years ago, while the Netherlands colonized the island in the 17th century. Shortly after the arrival of the Dutch, the Han Chinese travelled across the now Strait of Taiwan, and remain the predominant ethnic group to this day. In 1662, the Dutch were driven from Taiwan by the Ming dynasty, who were in turn defeated by the Qing dynasty over a century later. They remained on the island until 1895, when they ceded Taiwan to the Empire of Japan. After Japan’s defeat at the end of the Second World War, Taiwan—known as the Republic of China—was ruled by the Chinese Nationalist Party, or Kuomintang, under the leadership of Chiang Kai-shek. By 1949, Chiang Kai-shek had lost control of all of mainland China to the Communist Party of China, and withdrew to Taiwan. For 40 years, the Kuomintang ruled Taiwan as a single-party state, until democratic reforms were introduced in the 1980s. In 1996, the country had its first-ever direct presidential election. Taiwan just feels green, everywhere. 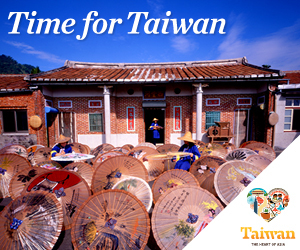 Taiwan’s varied history has left its mark throughout the country with evidence of Ming, Qing and even Japanese rule still present, as well as aboriginal culture. Mandarin is the official language and Buddhism and Taoism the predominant religions, with English only spoken in the major cities and some tourist spots. Taiwan straddles the Tropic of Cancer, with the country’s south enjoying largely warm weather year-round, and the north experiencing cool and damp winters. Rainy seasons vary from coast to coast and from north to south, while typhoons can be expected between July and October. For a land so old, it is surprisingly undiscovered by international adventure seekers. The island features thick forest, hidden gorges, towering mountains and jagged volcanos. There are soaring cliffs, pristine beaches and superb snorkelling and scuba diving. READ Team Outpost’s Adventure Taiwan! If nature is your thing, Taiwan offers excellent birdwatching and some of the best whale watching in the world—or, you can try your hand at spotting monkeys or trekking in search of the elusive Formosan Black Bear. 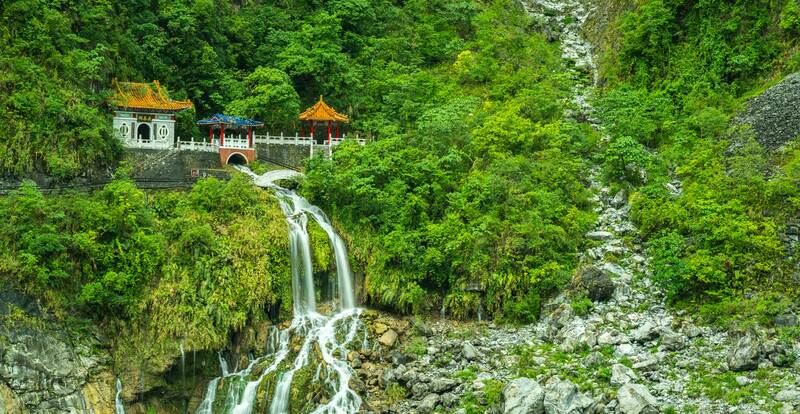 You can hike to waterfalls, or follow ancient Qing dynasty hiking trails through the mountains or Japanese-era routes that cross the country. There’s superb cycling and excellent parasailing. You can tour by scooter, sail the coastal waters, or just contemplate life in a serene garden. You can hang with the island’s aboriginal people and learn their age-old secrets, or find some surfer dudes and hang-ten. Explore the night markets that abound in every town and city, or sample the finest dumplings in the world in a family-filled restaurant. There are beautiful temples and ancient sites, galleries and monuments, and everything is connected by excellent highways, first-rate buses and trains, and an impressive network of domestic airline flights.